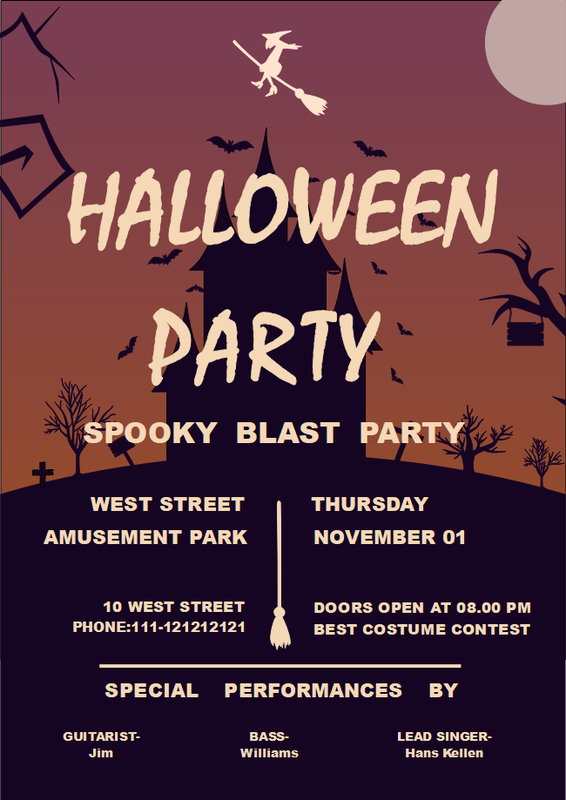 Description: Make this Halloween party flyer template a great surprise to your guests! Using the auto-create editing tools and flyer design figures in the free download version for more stylish looking! Get everyone to spend a crazy night together!